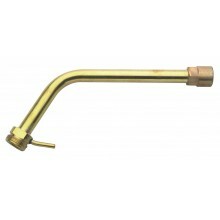 The Sievert Pro 86 Handle 348641 features a single valve and is mainly used for smaller burners.. 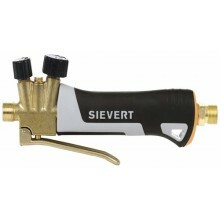 The Sievert Pro 88 Handle 348841 features double valves and is usually used with larger burners.. 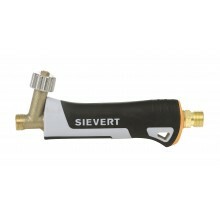 The Sievert Promatic Handle 336611 comprises of a plastic composite handle reinforced with 30% ..
For refillable cylinder 2000 or 2012 • 2193 with 2 m hose and 700001 connection valve • The pr.. 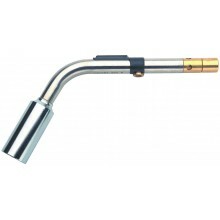 The Sievert 78mm Pro 86/88 Neck Tube For Lightline Burners 350101 enables you to connect the Si.. 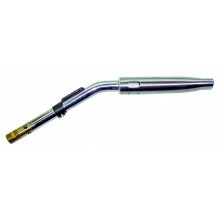 Frequently used by professionals and Do-It-Yourself • For soft soldering, small brazing, paint strip..
Fine point burner to fit 8716 Light Line neck tube. 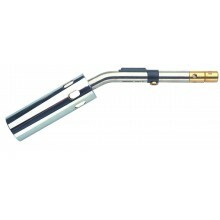 Burner diameter: 15mm Gas consumption, g/h..
Pin point burner to fit 8716 Light Line neck tube. 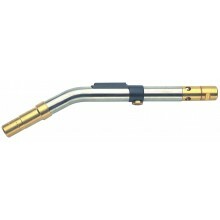 Burner diameter: 13mm Gas consumption, g/h ..
Flame burner to fit 8716 Light Line neck tube. 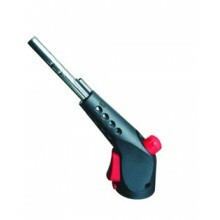 Burner diameter: 22mm Gas consumption, g/h at 2..
Needle point burner to fit 8716 Light Line neck tube. 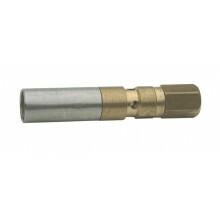 Burner diameter: 9mm Gas consumption, g/.. Combined valve and neck tube assembly for use with the refillable cylinder 2000Delivery Deliver.. 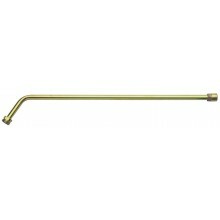 The Sievert Pro 86/88 Neck Tube 180mm With Hook 350902 is a short neck tube desgned to fit the .. The Sievert Pro 86/88 Neck Tube 350mm 351001 is designed to suit the Sievert Pro 86 and Pro 88 .. 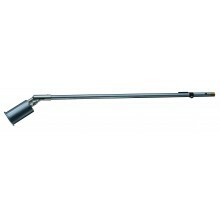 The Sievert Pro 86/88 Neck Tube 500mm 350701 is designed for larger scale heating applications .. 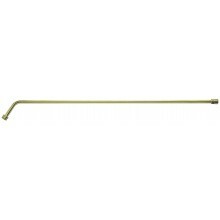 The Sievert Pro 86/88 Neck Tube 70mm With Hook 351102 is designed to fit the Sievert Pro 86 and.. 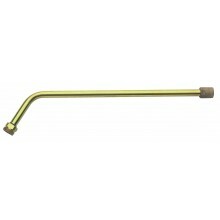 The Sievert Pro 86/88 Neck Tube 750mm 350601 is recommended for larger applications such as roo.. 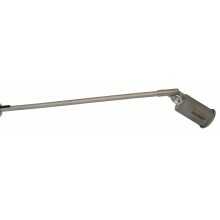 The Sievert Pro 86/88 Titanium Neck Tube 350mm 355001 is designed to suit the Sievert Pro 86 an.. 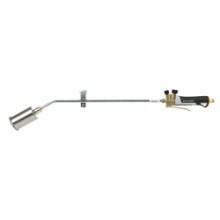 The Sievert Promatic Blowtorch Kit PAUTOKITX is a professional propane torch kit suitable for s.. 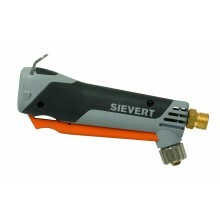 The Sievert Promatic Detail Burner 40mm 335002 is designed for detail work on roofs. Featuring .. 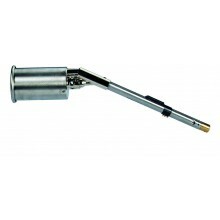 The Sievert Promatic Detail Power Burner 60mm 335602 is a short 250mm Burner with a powerful 60.. 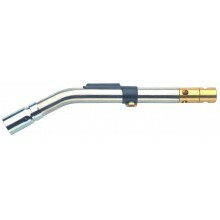 The Sievert Promatic Hot Air Burner 32 x 15mm 334990 delivers powerful windproff hot air stream.. 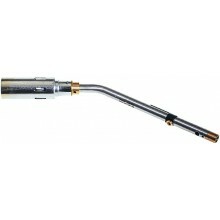 The Sievert Promatic Hot Air Burner 38mm 333401 delivers powerful hot-air streams, ideal for he.. 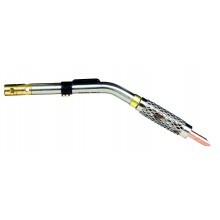 The Sievert Promatic Hot Air Soldering Burner 10mm Tip 335991 features an encased windproof fla.. 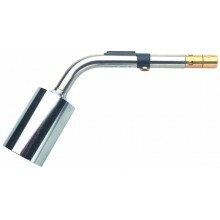 The Sievert Promatic Pin Point Burner 333301 is a fine flame pin point burner for precision wor.. 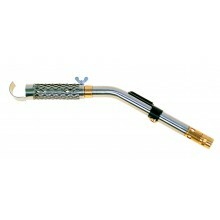 The Sievert Promatic Power Burner 50mm 335102 is a high capacity power burner with extremely st.. The Sievert Promatic Power Burner 60mm 335302 features a 60mm burner and is 600mm in length. Gi.. The Sievert Promatic Power Burner 60mm 335402 features a 60mm burner and is 500mm in lengt.. The Sievert Promatic Roofing Kit P3366KITX is a high power propane torch kit with extremely str.. 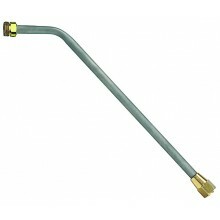 The Sievert Promatic Soft Flame Burner 28mm 334791 delivers a power ful sweeping yellow and blu.. 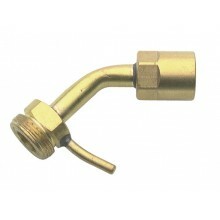 The Sievert Promatic Soft Flame Burner 38mm 334191 offers a soft flame design ideal for cable w.. 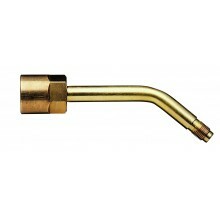 The Sievert Promatic Soft Flame Burner 50mm 334891 is ideal for cabling and other heat shrinkin.. 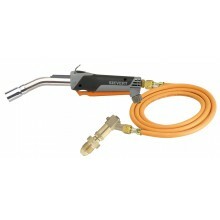 The Sievert Promatic Special Hot Air Burner 335890 features a 32 x 15mm burner which delivers p.. 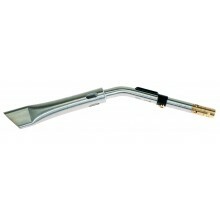 The Sievert Promatic Standard Flame Burner 334301 delivers a brush-type flame suitable for vari.. 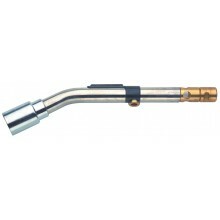 The Sievert Promatic Standard Flame Burner 25mm 334401 is a general purpose burner with brush-t.. 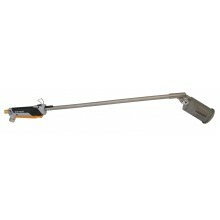 The Sievert Promatic Titanium Burner 60mm 337302 is a high capacity burner at 600mm long with a.. Heavy duty light weight power burners with extremely strong and windproof flames to withstand the se..